Wednesday afternoon I was out snooping around Piscataway Park and the National Colonial Farm to prepare for a hike I scheduled for this coming Sunday. 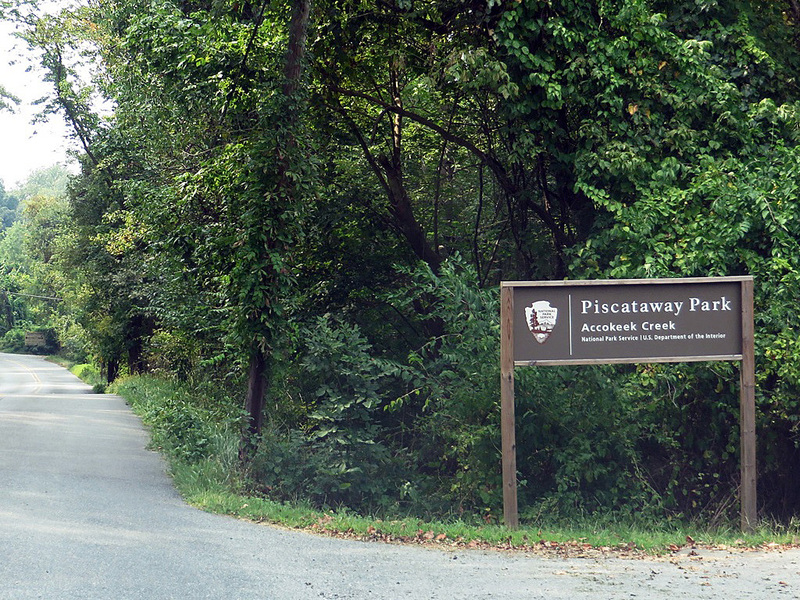 Piscataway Park is named for Piscataway Creek, which in turn is named for the Piscataway Indian Tribe. It is located in Accokeek, Maryland, and was founded to preserve the natural view of the Potomac River from Mount Vernon. The baseline route I plotted pieced together the trails on the park map into a big counter-clockwise hike from the Visitor Center downstream along the Potomac past the Colonial Farm, inland around the adjacent fields, back upstream along the park road and a trail to the Ecosystem Farm, and then back to the shoreline for the final walk back to the Visitor Center. It was only about 3 miles as the crow flies, but by the time I got back in the car to drive over to explore the adjacent boardwalk trail, 5 miles and 2 hours had somehow slipped by! It think the constant side trips to look at Mount Vernon, directly across the Potomac River, or the reconstructed buildings and livestock in the Colonial and Ecosystem farms had something to do with it. Or it could have been the dozens of butterflies and the occasional rabbit that crossed my path along the way. Anyway, it was getting towards evening before I made it to the boardwalk for the short walk over the marsh, and if the hundreds of swallows flitting overhead were too fast for me to catch a photo, it was because they were enjoying an hearty evening meal of mosquitoes and other flying insects, leaving less of them to bother me. This entry was posted in Hiking, Photography and tagged blue heron, butterfiles, Eastern Tiger Swallowtail, Mount Vernon, nature, outdoors, Piscataway Park, Piscataway Tribe, Potomac River, Spicebush Swallowtail, wildlife. Bookmark the permalink. So of course I recognize the tiger swallowtails, but it appears there maybe be two butterflies in the top middle of the first photo. Neither of which I have ever seen before. It looks like a wonderful place! Good heavens, you’re right — there are three tigers there! Two are perched and one is in flight behind the one at center. Great catch! 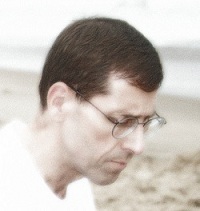 Your walk sounds wonderful, John, with the historical background and so much to explore. And your wildlife experiences are very rich, enjoyed the lovely photos too. I am going to have to travel north (on the dreaded i-95),and hike on some of the trails that you are talking about. They are beautiful. I come up to Fort Belvoir often enough, and I know where Mount Vernon is…so…I should be able to figure out where to go from there! Thanks! Some of the places we go like Riley’s Lock can present a drive of an hour or more even for me, but the weekend traffic usually isn’t too bad.